Could losing weight, getting rid of headaches, pooping daily, body/mind healing, feeling better overall … really be this simple for some people? YES! Water intake and fluid balance are among the least understood and most neglected areas of overall health and weight management. Because water is very important to health, our bodies attempt to maintain proper fluid and water balance at all times. Consuming too little water can result in water retention. Increasing water intake can actually decrease water retention and the bloating and added weight that accompany it. Read on to find out more. Although individual variation exists, drinking 1/2 your body weight in ounces each day is what is recommended. (If you are working out with perspiration, increase that amount by 20-50%). 7 Tips to Get Water Down! Are you a sipper or guzzler? If you don’t seem to find the time to get water down during the day, you may need to become a guzzler and I call that “Cameling Up”. Set a reminder alarm on your phone until you get the routine in place. Try getting 40-50% of your water intake before you leave the house for the day. Keep a water bottle that measures fluid ounces with you throughout the day: home, car, gym or at your desk at work. This way the counting is done for you, just remember to refill it throughout the day. All you need to worry about is finishing the bottle/s between the time you wake up and the time you go to bed (recommend getting water in two hours before bed so you have better chance of sleeping peacefully through the night). Fill up your favorite glass to drink from. Pour that water into the measuring bowl to see how many ounces it is. Lastly, determine how many glasses you need to consume a day to meet your goal of half your body weight in ounces of water. Make that be your plan. Look in your iPhone! Go to the App Store for water/hydrate tracker apps. Keep post-it notes on your refrigerator or desk reminding you to drink a glass of water until it becomes habit. you are drinking your water. Interesting fact: If dehydrated, Colon Hydrotherapy is the fastest way to hydrate the body (over drinking water)! Many healthy people utilize colon hydrotherapy as part of their regular health regime. How can I find out how much water I have in my body? It’s very simple and easy to find out. Our office offers a Bioelectrical Impedance Analysis(BIA). BIA calculates and estimates your tissue and fluid compartments – using an electrical current. It measures the body fat in relation to lean body mass. It is an integral part of our health and nutrition assessments. Won’t I feel more bloated and retain more if I drink more water? Drinking the appropriate amount of water actually reduces water retention and bloating, even during menstruation for women. Since your body is constantly regulating its fluid balance, you can overcompensate by retaining water if you are not drinking enough. Drinking more water can also help you lose those few extra pounds and aid with proper digestion. Finally, if you struggle with water intake, remember it’s about gradually working up to your goal of half your weight in ounces. Some days you will hit the mark and others you will celebrate the effort made towards it. It’s never too late to start—the changes you make today then sustain in the weeks to come, will absolutely effect the quantity and quality of your years down the road! Jeff and I choose a word theme for the year the helps us stay focused and moving forward. He selected SIMPLE and I picked CLARITY. With all the books on the subject of weight loss, I often tell my clients there is nothing new under the sun. 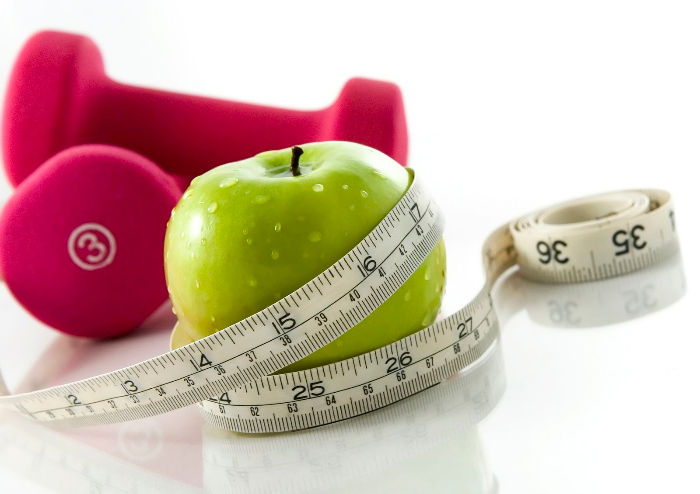 Don’t get lost in battle of seeking a fad diet or next guru expert on weight loss. It really is not complicated when it comes to weight loss for most people, but it is important to understand how you might be sabotaging your weight loss goals. We need to learn to listen to our body as it talks to us and equally important is listening to the leading of the Good Lord through our spirit. Heavenly wisdom and truth speaks with great CLARITY and takes the complex and makes it quite SIMPLE! When we get up it is time to BREAK the FAST. Blood sugar will be low and the body needs fuel. Pushing through without nutrients will support the firing of the stress hormone cortisol. Too much cortisol=stored body fat. When we try eating low fat, it usually results in high carbohydrate intake. Carbohydrates include fruits and vegetables which we want to eat plenty of, but go easier on the fruits by having twice as many vegetables. The real culprit tends to be the grains, whole grains as well as processed ones. Whole grains are a much better choice but we will want to limit to ONLY 1 grain a day while trying to loose weight. Grains include breads, pasta, tortillas, chips, rice, and quinoa. Most grains are fairly high in carbohydrates, which raise blood sugar and insulin levels. Insulin triggers fat storage by the body, so if we have a high grain (or sugar-rich) diet, our body gets a constant signal to store fat. Let’s remember that fats are very import for the body if they are the good fats. So try focusing your diet on clean fish, flax oil, olive oil, and walnuts to name a few. The wonderful building blocks of the body: PROTEIN. We want to include protein at all meals and snacks during the day to support this amazing body we’ve been given. It will help us feel full and satisfied. This is a very important part of proper body composition and weight management. So look to consume organic meat, fish, eggs, beans or Ultrameal shakes throughout the day. 4. STOP STRESSING OUT… LET IT GO! I love the way the movie Frozen reminded so many of us the importance of LETTING GO. We do not need to be in control of all things around us and that includes people. We can do what we can do and that is all we can do. When we hold on to things that are out of our control anyway, we set the stage for overload of that stress hormone cortisol again which = STORED BODY FAT. Pushing past bedtime, can negatively impact hormone levels that control appetite, ability to sleep through the night, and burn fat. Staying up late can also put us in the mood for munchies that are often filled with “not needed” carbs that will most likely be stored as body fat.